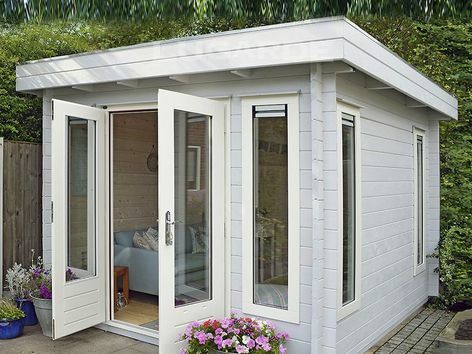 The Lyngby is a beautiful small but perfectly formed log cabin and at under 2.5m tall can go against your boundary without the need for planning permission. It is ideal for smaller gardens. 2.5m wide x 3m deep in 44mm log thickness. 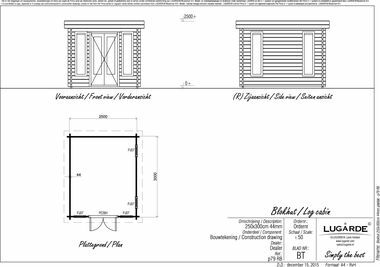 1 x PE26H double door and 4 x PJ07 windows are included as standard. The pictures show straight cut log ends for a more contemporary look.